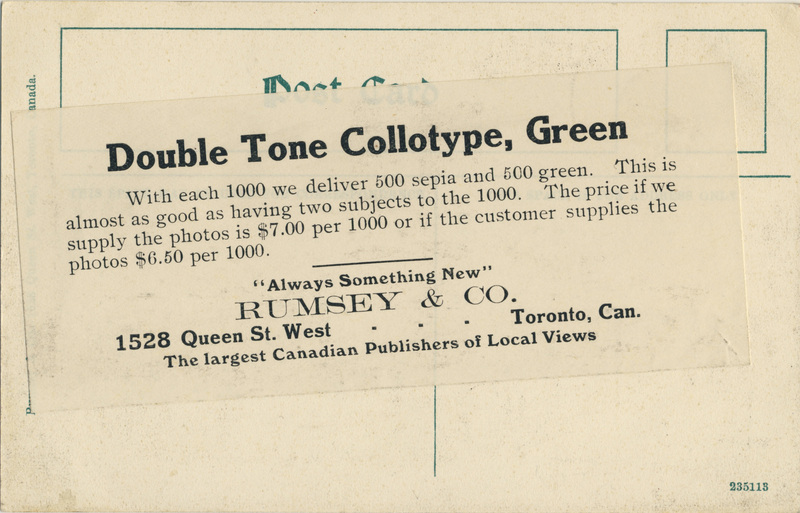 One of the most enduring of the major Ontario-based postcard producers was Rumsey & Co. Ltd. of Toronto. In 1909, the leading figure in the company’s history, William Frederick Rumsey (1878-1936), took over the stationery business of his late father William Henry Rumsey (1845-1905). The younger Rumsey decided to focus the business on postcards. Unlike many other similar companies, Rumsey & Co. continued in the postcard business well beyond the First World War. The Toronto Public Library holds a 1951 Rumsey catalogue that includes postcards among many other novelty and stationery items. For much of its history, Rumsey & Co. was located at 1528 Queen Street West in Toronto, which had been the home of William Sr. and his wife Emma. The nondescript building still stands at the corner of Fuller Avenue and now houses a Tibetan restaurant. 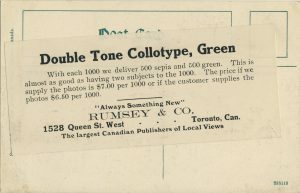 This sample-card advertisement for Rumsey’s tinted collotypes describes the company as “The largest Canadian Publishers of Local Views”. 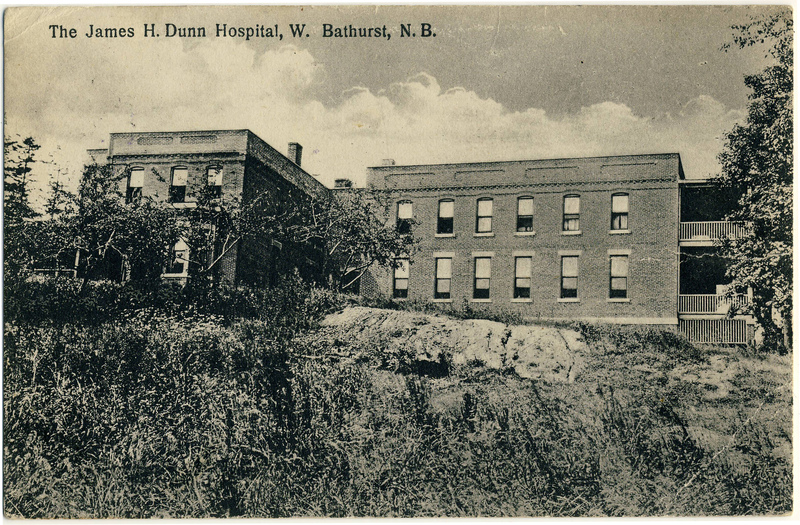 James H. Dunn Hospital, Bathurst, N.B., posted 1939. This exemplifies Rumsey’s continued production of traditional postcards after most of its competitors had left the business. In 1926, when it was still listed in the city directory solely as a postcard wholesaler, the company was large enough to have a full executive team that included Alfred P. Maddox as Vice-President, Alfred E. Mundy as Secretary and Orson Irving as Treasurer, in addition to Rumsey as president and general manager. Rumsey & Co. produced many thousands of lithographed postcards representing towns and cities across Canada, as well as several series of patriotic postcards. Well over 250 western cards are catalogued in the Peel Prairie Provinces collection, while the Toronto Public Library holds about two dozen Ontario cards. 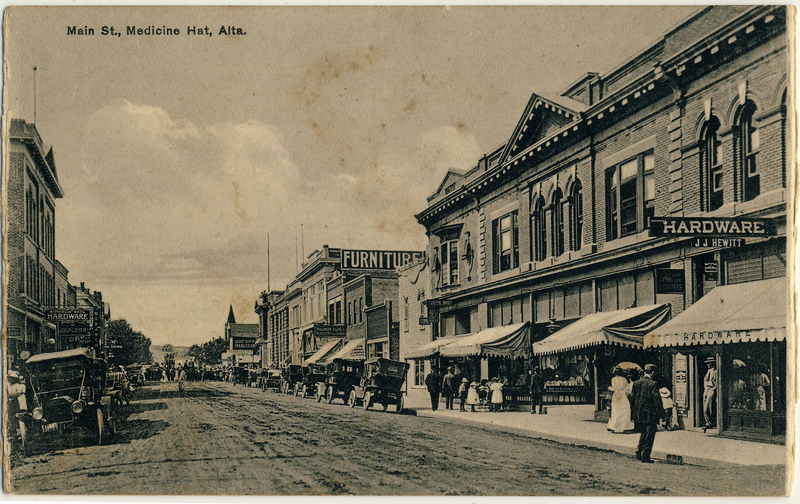 Unlike some of its competitors, the company’s postcards had few “signature” features to make them stand out in the collector’s mind from others of their kind. One exception is that Rumsey & Co. appears to have been much more active than Pugh, MacFarlane, Stedman, Warwick and others in the production of real photo postcards. Its RPPCs, which would have been made to order from submitted photos, usually feature a printed caption on a small white “label” centred in the lower margin of the image, as in the example below from Roblin, Manitoba. 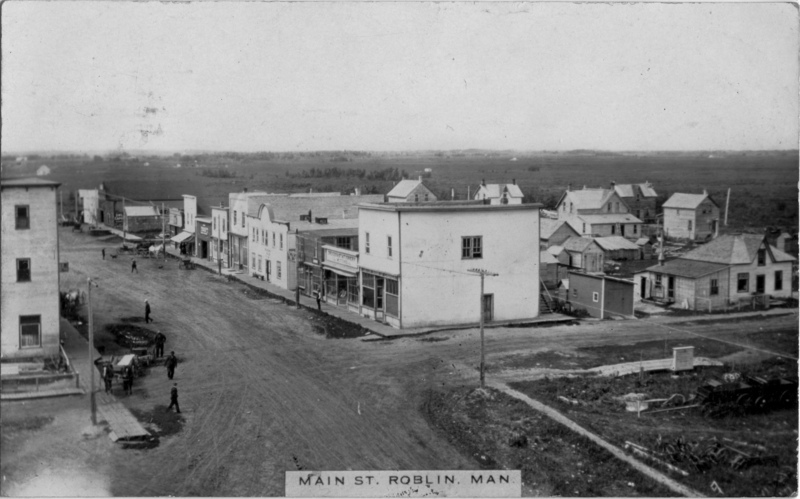 Main St. Roblin, Man., posted 1912. Error: Error validating access token: Session has expired on Friday, 12-Apr-19 20:21:58 PDT. The current time is Friday, 19-Apr-19 21:26:33 PDT.